Housed in an unassuming brick building in the Chicago suburb of Carol Stream, IL, celebrating its 20th anniversary in 2016, DeCore Tool & Manufacturing is a powerhouse hidden in plain sight. Scott DeCore founded the company in 1996. Today the company boasts a staff of 20, including secretary and treasurer Carol DeCore, Scott’s wife. 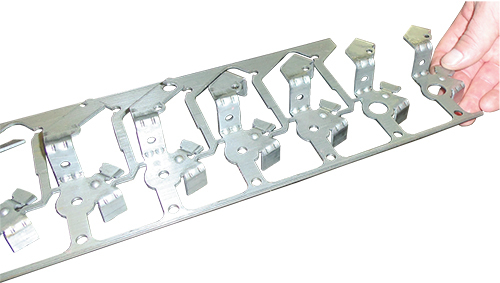 DeCore primarily serves repeat customers and manufactures plenty of metal-stamping dies for the automotive industry. It also performs one-off jobs and serves a range of industry sectors. These include the appliance and electrical industries; the company even supplies tooling used to stamp parts for Weber grills. The couple’s son, Bobby DeCore, works as a design engineer for the company. While once he had set his sights on a career as a professional boxer, today Bobby DeCore approaches his design career with the same logical strategy that served him in the ring. While the company primarily serves repeat customers and manufactures plenty of metal-stamping dies for the automotive industry, it also performs one-off jobs and serves a range of industry sectors. These include the appliance and electrical industries; the company even supplies tooling used to stamp parts for Weber grills. To help its design engineers optimize efficiency, quality and productivity, in 2013 DeCore made the move to 3D designing when it acquired VISI CAD/ CAM software from Vero Software. VISI’s master distributor in the United States and Canada is Tooling Software Technology (TST), LLC, Village of Clarkston, MI, provided educational services to DeCore, and continues to support Bobby’s efforts to optimize his use of the software. While each job varies, Bobby typically begins a job in VISI by importing a solid model of the final part to be produced. It’s his job, with help from VISI, to deconstruct the part and create a working model of the strip that will in turn create the final product. Because the software is equipped with an extensive range of translators, designers can work with data from virtually any CAD source. 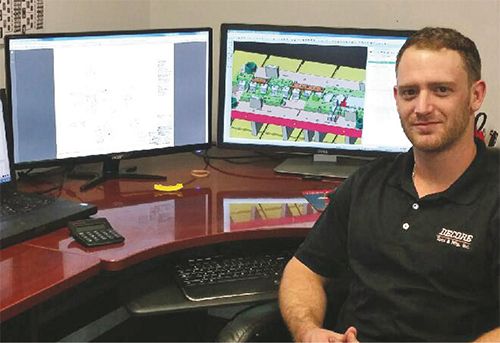 It rejects corrupted geometry during the process of importing CAD data, which means that Bobby can begin each job with the best possible information. VISI enables Bobby to easily generate 3D strip layouts, on which he can use the software’s automatic blank alignment, rotation and optimization functions to create the most efficient strip possible. The software also includes an automatic 2D-strip-plan option, which assists in punch design and includes fold lines. VISI then formulates the part-unfolding process, allowing Bobby to plan each forming stage, by dynamically adjusting bend angles. 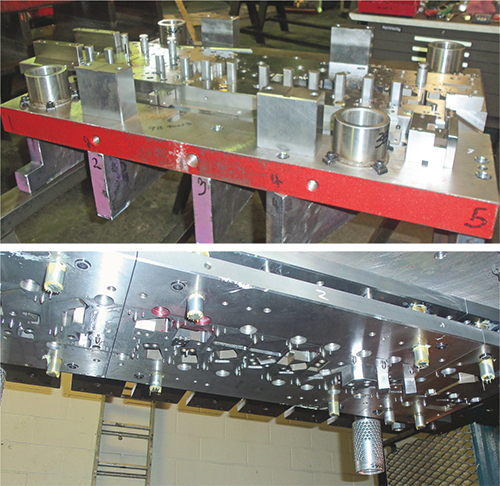 The solution also allows him to incorporate parametric features—ribs and bosses for example—that can be used or deactivated throughout the forming process. With flexible editing, stations can easily be added or removed. Other features enjoyed by Bobby include the automatic and semiautomatic functions supporting the creation of shearing punches. Once those punches are created, he can move them quickly and efficiently to different locations on the strip with simple drag-and-drop placement, at the click of the mouse. The flexibility of the process has made designing what once were considered challenging progressive dies a simpler process. He also credits the collision-detection capabilities of the software for helping him create error-free press-ready designs. While DeCore tests its dies inhouse, all production of final parts takes place after the finished product has been delivered to the customer. “Being able to see the 3D model and check interferences helps save time in the press,” Bobby says. Article provided by Vero Software; 205/556-9199; www.verosoftware.com.